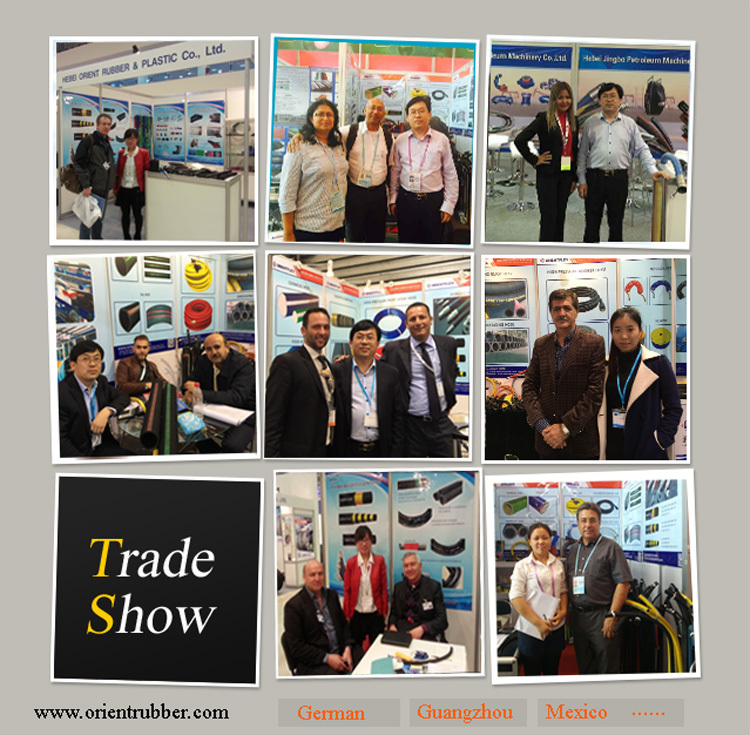 Choke & Kill Hose15000PSI-Choke & Kill Hose--Hebei Orient Rubber & Plastic Co., Ltd. 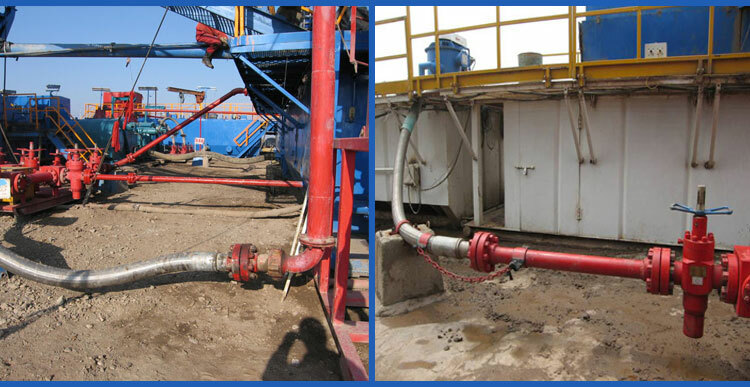 Flexible hose between the riser and manifold or around the ball joint of offshore drilling rigs, specially designed to withstand high pressure. Modified Nitrile. Black. Resists abrasion, corrosion, oil, and up to 20% H2S. 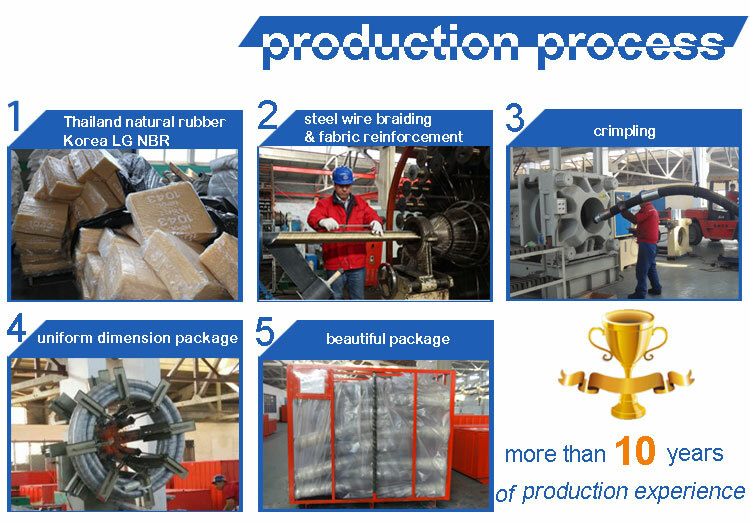 Fire resistant rubber cover, stainless steel armored to handle abrasion, corrosion, cutting, gouging, oil and weather. -4�H to +200�H (-20℃ to +93℃) continuous service. Accessories such as safety clamps and hose lift eyes are available upon request. Each hose is tested at 22500psi for 15 minutes. 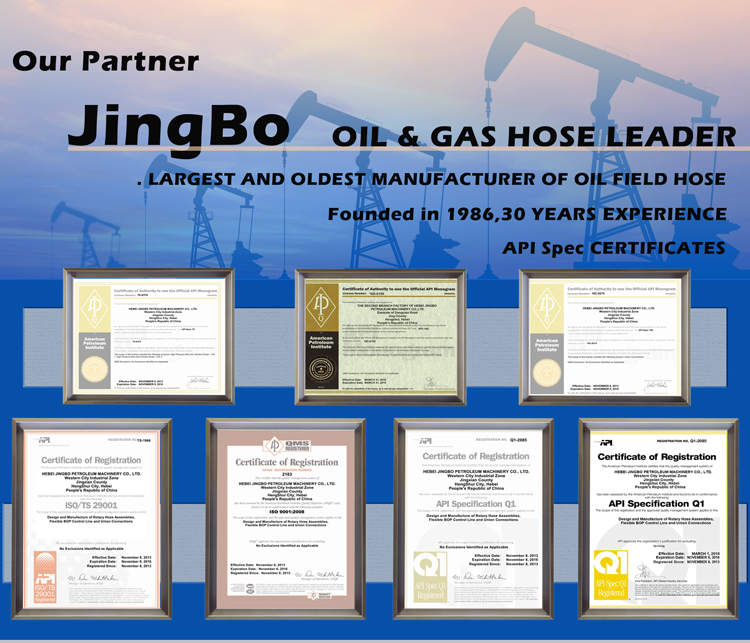 Pressure test graph, test certificate and letter of conformance are issued for each hose. 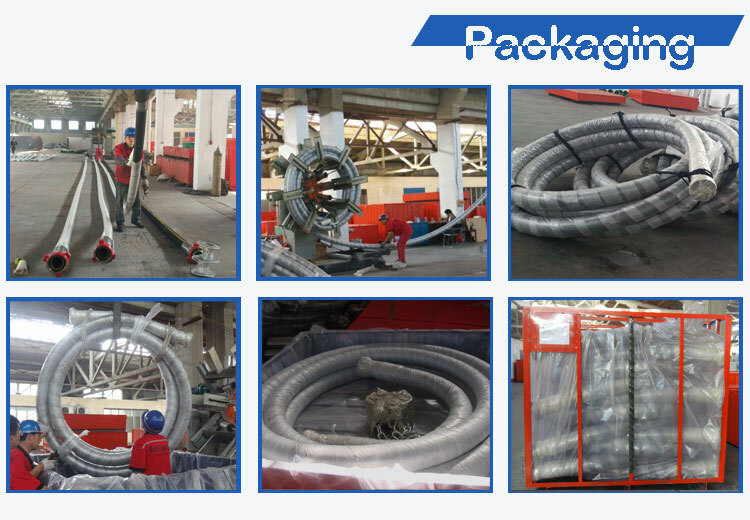 After finishing the choke hose production, we will pack the hose.